When searching for a tire specialized in all weather and all terrain, one should look no further than the Deestone D936 A/T Mud Crusher. With high quality rubber compounds and specialized patterns on the tire, the Mud Crusher will move smoothly on any terrain. The patterns are reinforced with specially designed troughs along with a 6-ply carcass ensures high mileage, no matter the speed. 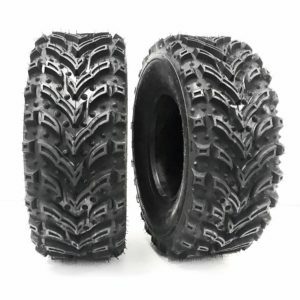 These tires, fit with reinforced ribs, will keep you safe and satisfied on any terrain.